From toys and shoes through to handbags and dresses – we accumulate many treasured items that we need to find a home for. That’s why well-designed storage spaces are a necessary feature of bedrooms. When renovating your bedrooms, one of the most important issues is how to improve your wardrobe space. Depending on the amount of floor area you have available, you can choose to install a walk-in or a reach-in wardrobe. If you are extending your house to accommodate a larger master bedroom, you may want to choose the walk-in wardrobe option. Make sure you consider the floor layout and the placement of walls and doors carefully at the planning stage, perhaps by consulting an expert in wardrobe design before the house plans are finalised. This will help avoid poor door placement or bad floor planning, so that you don’t end up with an expensive space that can store too few clothes. Walk-in wardrobes should be a minimum of 1800mm wide, and the door to the wardrobe should be placed in the middle of the wall. This will give 600mm of space for hanging clothes on each side of the wardrobe, plus a 600mm ‘passage’ space for you to walk through. If the walk-in wardrobe is less than 1800mm wide, you will only be able to hang clothes on one side of it. If you have more space, and can make your wardrobe wider, then you have the option of utilising the back wall for additional hanging, drawers, or shelving for shoes or handbags. Walk-in wardrobes should not have windows as they take up valuable wall space that could be used for storage, and can allow in sun that fades your clothes. Ventilation is important and can be provided by ceiling ventilation systems. Lighting should be placed in the centre of the ceiling. It’s best to place the light switch outside the door, so that you don’t have to fumble through your clothes trying to find the switch. A reach-in wardrobe has the advantage of taking up less bedroom floor area than a walk-in wardrobe, while still giving excellent storage capacity. So even if you have the space for a walk-in wardrobe you may need to ask yourself the question: Would I prefer more floor space in my bedroom or in my wardrobe? The downside of a walk-in wardrobe is that you walk into it, and therefore valuable floor space is consumed. Most reach-in wardrobes can easily be improved to give excellent storage. Almost all N houses built from the 1940s onward have an alcove with a door built into their bedrooms. These built-in wardrobes typically had a single shelf with a bar below for hanging clothes, and they used to be sufficient to hold the small amount of clothing that most people possessed at the time. Today, they just don’t do the job anymore. So the key challenge for the home renovator is how to increase the storage space in the wardrobe, without having to completely rebuild the house. Reusing the existing floor area the original builder allowed for the wardrobe is usually the most cost-effective option. In most cases, the storage space of the old style wardrobes can almost be doubled with a few clever alterations. First of all, we have to look at the access to the wardrobe. Most New Zealand wardrobes have standard height, hinged doors fitted to them. These doors are usually 1980mm high and between 610mm and 710mm wide. 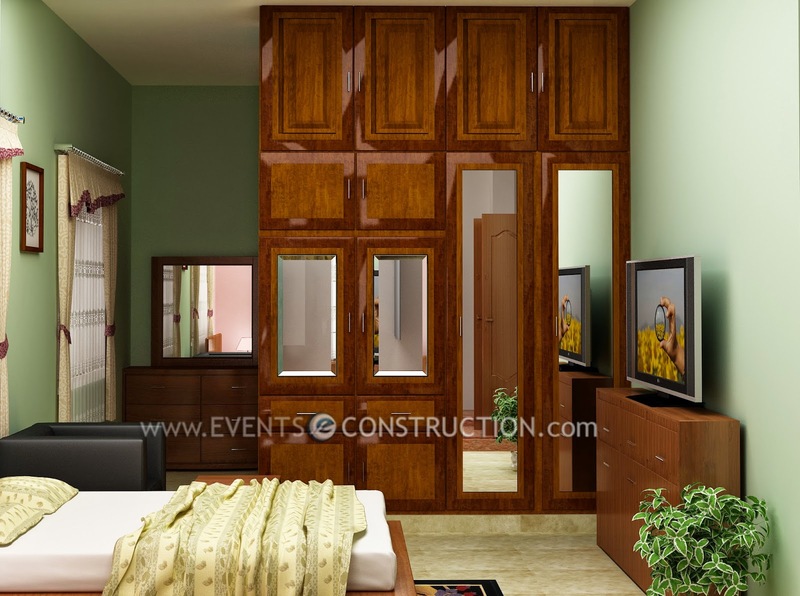 A double wardrobe comes with two doors. Given that the standard ceiling height in a Kiwi home is 2410mm and that most wardrobes are a lot wider than their doors, there is plenty of scope to improve access, and that is vital for increasing storage space. So the first task is to remove the doors and take out the wall areas above and on either side of the wardrobe door, effectively removing the entire front wall of the wardrobe alcove. You'll be amazed at how large your wardrobe looks after you have done this. You will of course need new doors to cover your wardrobe. Modern sliding door systems are made-to-measure – so it is only a matter of fitting jambs to the sides and ceiling, and the doors can be made to fit. Unlike hinged doors, sliding doors do not swing into the room so do not take up valuable floor space. Make sure the sliding doors are fitted with a proper anti-jump system to prevent the doors jumping out of their tracks. This is particularly important if you are considering mirror or lacquered glass sliding doors. Mirror doors, apart from the obvious advantage of having a full-length mirror exactly where you need it, add light and space to a room. And should you choose to re-decorate further down the track, you don't have to change the doors. Depending on the size of the wardrobe, you may need two, three or four sliding doors. Doors can be made to measure up to 1500mm wide and up to 2700mm high. If you have a high ceiling, you can get excellent access to your wardrobe. Having the doors made so you can access the full height and width of the wardrobe space gives you an incredible amount of additional storage, with options for all types of accessories including drawers. This will remove the need for additional furniture in the bedroom, saving space and money. Once you’ve decided on the dimensions for the doors, the interior layout of shelving, hanging and shoe storage needs to be designed. Many wardrobe design specialists offer complimentary assistance at the planning stage of your building project, to ensure the best storage utilisation of floor area at the most cost-effective price. This home renovation case study featured in the Winter 2012 issue of New Zealand Renovate magazine - New Zealand's first and only magazine solely dedicated to home renovations. Article by Chris Martin. The focus of Refresh Renovations is on delivering excellent customer service and value by incorporating design and using world class systems and processes. If you're thinking of renovating or looking for a builder, talk to Refresh at 0800 33 60 33 or enquire online.